As hospitals and health systems try to feel their way around exciting but daunting new era of genomics and precision medicine, there's no shortage of technology vendors, some of them newly-minted startups, offering to help healthcare providers gather the necessary data and put it to work delivering targeted patient care. 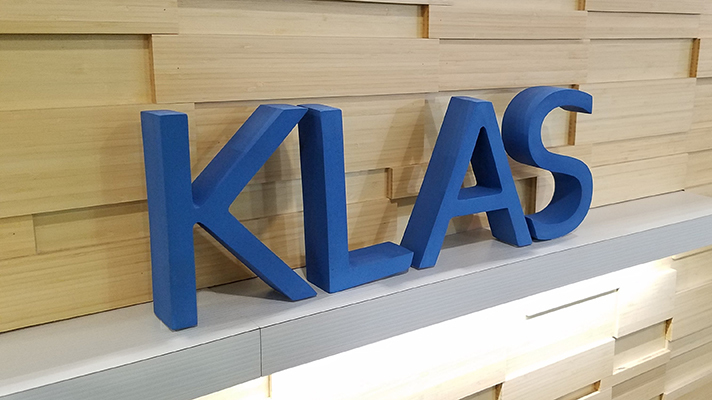 As such, many hospitals interested into getting a precision medicine program up and running "find it confusing to determine which of the hundreds of vendors in the market will be most helpful," according to the new KLAS Precision Medicine Vendor Validations 2018 report. Many hospitals still think of precision medicine as the province of big academic medical centers with the resources to do it right. And to a large extent that's still true. But as said at the HIMSS Precision Medicine Summit this spring, even community hospitals are starting to make personalized care work for them. Meanwhile, the technology available to help hospitals make sense of their omic data is evolving at a rapid pace. Pretty soon precision medicine may be considered the standard of care, said Nephi Walton, MD, assistant professor of genomic medicine at Geisinger. To that end, a "small number of precision medicine vendors have high mindshare among healthcare providers" and get them to self-report on their product suites and describe how they can help hospitals make inroads with precision medicine. The new study found 13 analytics companies with precision medicine products, who offered detailed responses about their capabilities across specific domains: 2bPrecise; Fabric Genomics; Gene42; IBM Watson Health; LifeOmic; NantHealth; Navican; N-of-One; Philips; PierianDx; Sunquest Information Systems; Tempus, and Translational Software. Launching a successful precision medicine program requires a vast array of tools and specialized skills, after all: clinical decision support technology, laboratory information management systems, software for biomedical research analytics, care planning capabilities for evidence-based treatments, provider-facing clinical analytics, patient population genetic data repositories, tools to refer patients to certified genetic counselors, platforms to enable enrollment and management in clinical trials as well as business intelligence tools to assess the value of genomics-based care, among many others. Add to that complexity the fact that many technologies are specifically tailored for highly-specialized clinical end-users: pathologists, oncologists, physicians, geneticists, laboratory staff, population health managers. And the fact that some of the science behind precision medicine – carrier screening, pharmacogenomics, cytogenetics – carries its own set of challenges. "My prediction is that genomic medicine will move from a specialty that did not even require an MD degree, to become an integral part of practice that's required of everyone with an MD degree," Walton said at the summit. With so many vendors offering so many tools, jockeying for position in such a new and emerging space – many companies polled say they've been doing precision medicine for only two or three years – it's no doubt a challenge for hospital decision-makers to separate substance from hype.